Now the world is discussing where to buy iPhone XS Max, iPhone XS, iPhone XR Dual Sim version, but today, some media have announced that the iPhone XS Max replacement screen needs $200 USD, so you have to protect your new iPhone, here we will recommend the most protective iPhone XS Max Case. Why do we recommend CaseMe Case? Because this is the best and cheapest wallet case on the market. It made of high-quality leather, high-grade leather extends its life and provides shock protection. 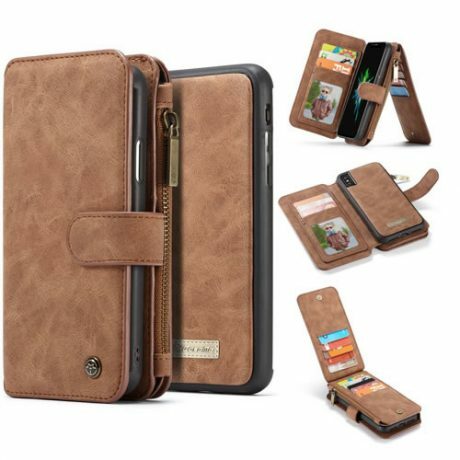 There are 14 credit card slots, a zip pocket, and a wrist strap, it use 2-in-1 design, If you don’t want an extra wallet, you can also separate the phone case.